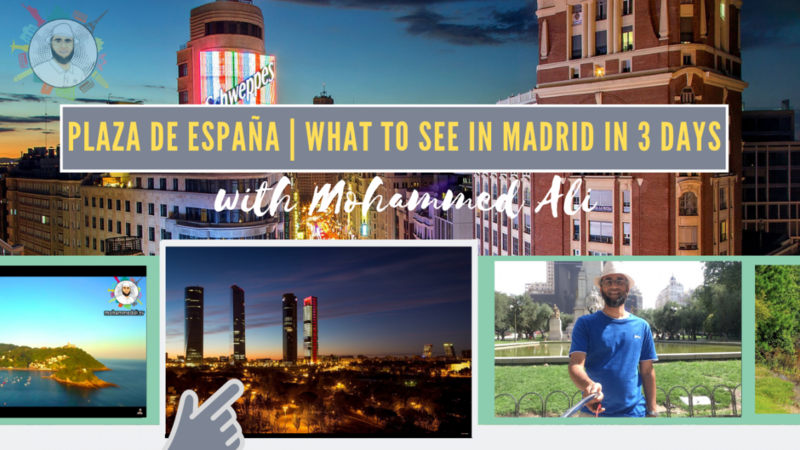 Plaza de España | What to see in Madrid in 3 days - Mohammed Ali, a passionate globetrotter and food lover, inspires people about his exciting journeys and life experiences on YouTube. Follow him and hear more. 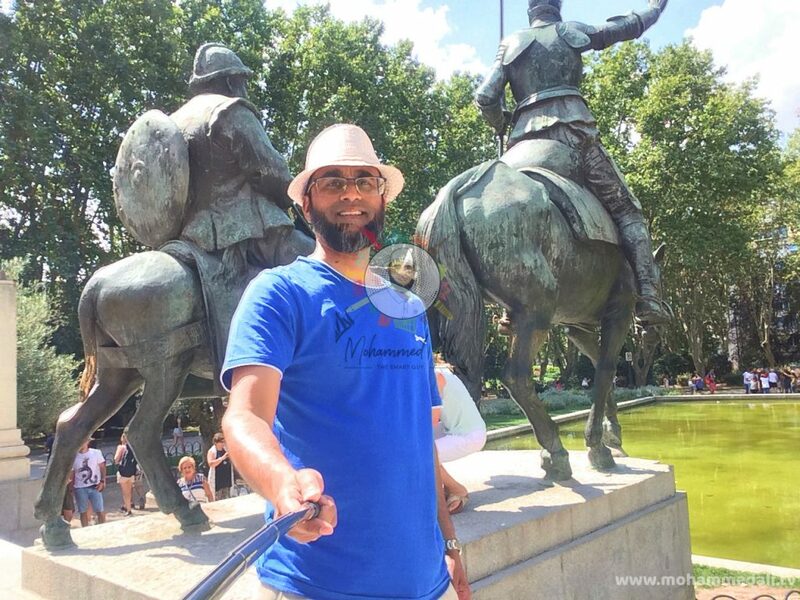 One of the best tourist spot in Central Madrid is the Plaza de España. It is located at the intersection of Gran Vía and Princesa streets. In the center of the square a monument to Miguel de Cervantes is placed. This monument is surrounded by a series of beautiful landscaped spaces. (release date: 8 April 2019 at 10 AM GMT) – More travel videos here. The square has a fountain with a pond, and seasonally landscaped and wooded areas. On the side of the square two emblematic buildings of the city are build: Torre Madrid and Edificio España, which constitute one of the most interesting architectural areas of the capital. Torre Madrid is one of the tallest buildings in Madrid. It is 465 feet high and was built in 1957 by the brothers Julián and José María Otamendi Machimbarrena. They had been hired by the Compañía Inmobiliaria Metropolitana, for whom they had already built the Edificio España. Edificio España is one of Madrid’s most representative skyscrapers. The Otamendi brothers built it in 1953 in Neo-Baroque style. It has a staggered silhouette of four heights, and enjoys considerable protection from the City Council itself. Standing at 117 metres tall and with 25 floors, it is the eighth tallest building of the Spanish capital, including the Cuatro Torres Business Area skyscrapers. 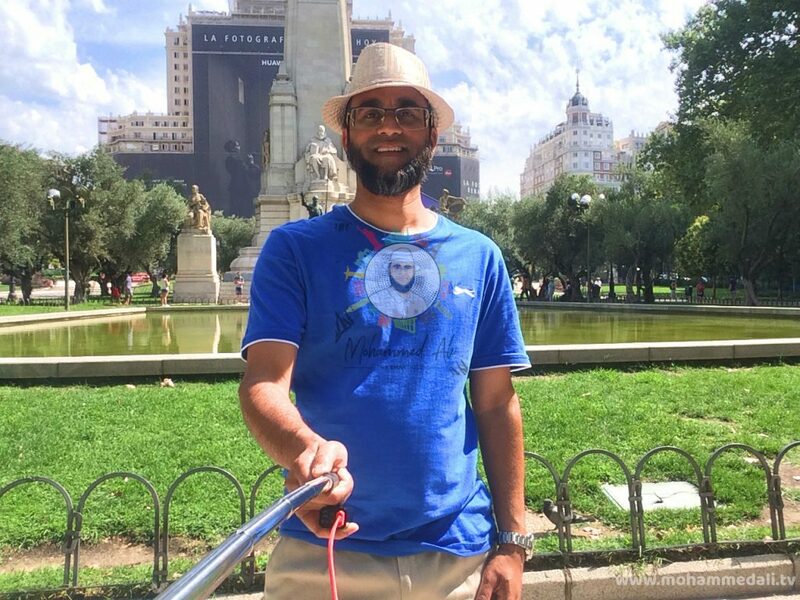 I was absolutely stunned about the beauty of Plaza de España in Central Madrid and I felt privilege to stay in the beautiful decorated landscape surrounded by lively people.